Worldwide icon-chevron-right North America icon-chevron-right United States icon-chevron-right California icon-chevron-right Los Angeles icon-chevron-right Here’s where to drink during the holidays in L.A.
Here’s where to drink during the holidays in L.A. 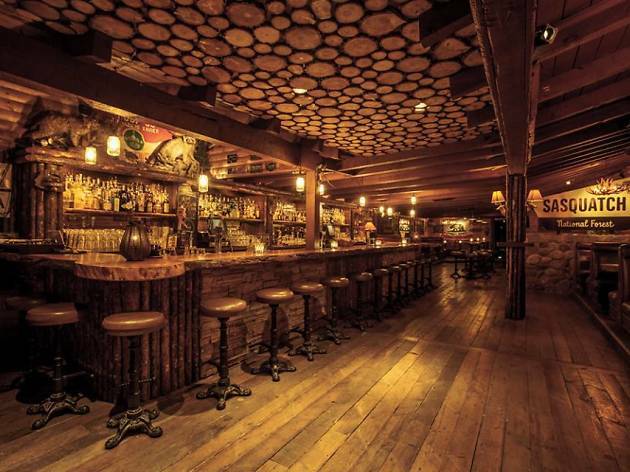 Whether you’re more of a Scrooge or a Buddy the Elf, here are L.A.’s best (anti-)holiday bars. Escaping dinner-table discourse? Home alone and anti-holiday? Or maybe you’re the full-on festive type who’s had their tree decorated since Black Friday. 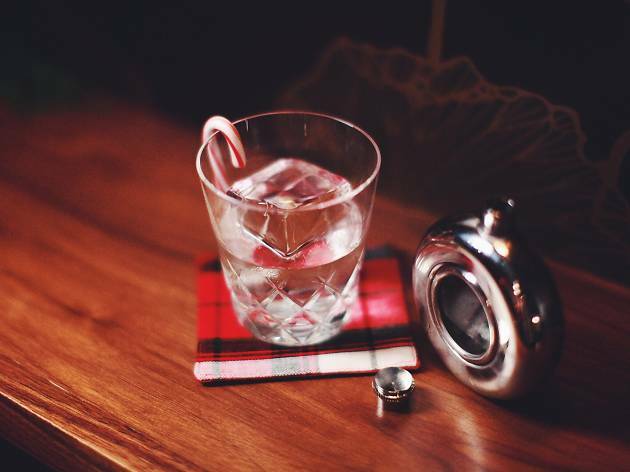 Whatever the case, ‘tis the season for a stiff one at a holiday bar. Here’s where to drink your way through Christmas and the holiday season to celebrate—or avoid—the festivities this year. Eggnog and mulled wine—or coal cocktails and zero cheer—here we come. 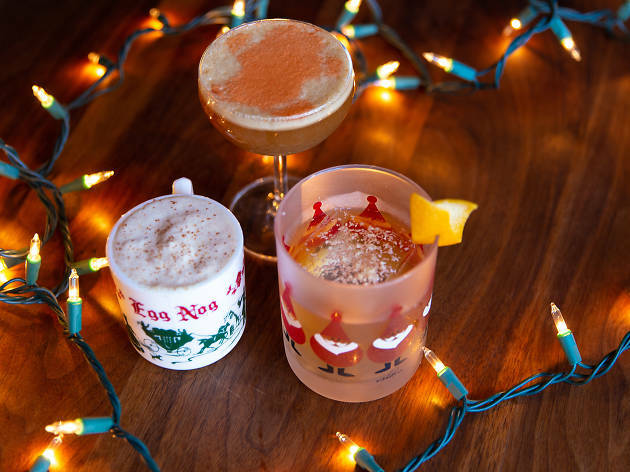 You probably know Los Feliz’s Big Bar is one of the best spots to sip year round, but when it comes to the holiday season, it somehow gets even better. 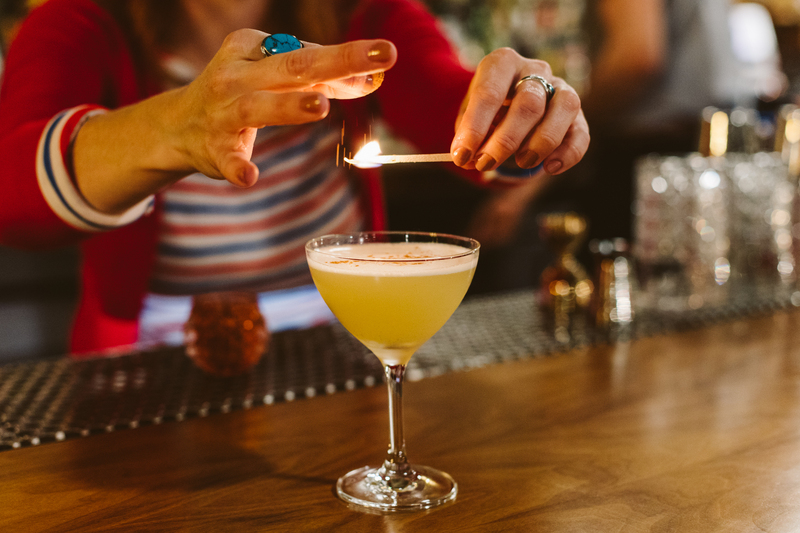 The bar team decks out their repurposed Craftsman into a full-on festive sight, and the drinks are even more merry. In addition to the winter menu there’s a handful of holiday cocktails, which this year includes some truly original concoctions—such as the Athol’s Brose, made with toasted-oat-infused Bruichladdich, hand-whipped cream, honey, cinnamon and shortbread, and the Winter Spritz, made with Jardesca White Aperitiva, rosemary and cranberry. L.A.’s 1950s-inspired cocktail lounge is fittingly getting into the spirit with old-timey holiday classics—some even with modern touches. Throughout December, look for drinks such as the Christmas Palm Tree Eggnog, made with rye, mezcal, cinnamon, nutmeg and vanilla bean; and the banana-bread-infused old-fashioned. Traditionalists will probably feel right at home—and warm and toasty—with mulled-wine punch and cups of hot brown buttered rum. We shudder to think of what Casa Vega’s electric bill looks like after the month of December. A kaleidoscope of floor-to-ceiling Christmas lights with garland and tinsel cover this throwback every holiday season, and have for more than 40 years—making it one of the most festive spots in town and a perfect perch for some classic and Mexican-inspired cocktails. Santa’s shop right in the heart of Hollywood? You’d better believe it. One of 90 national offshoots of NYC’s original, kitsch-tacular pop-up—Miracle on Ninth Street—L.A.’s outpost, now hosted at Kimpton’s Everly Hotel, offers a 20-foot-tall inflatable Santa Claus, plus “snowfall.” Of course, the real draw here is the cocktail menu served in festive glassware, no less. 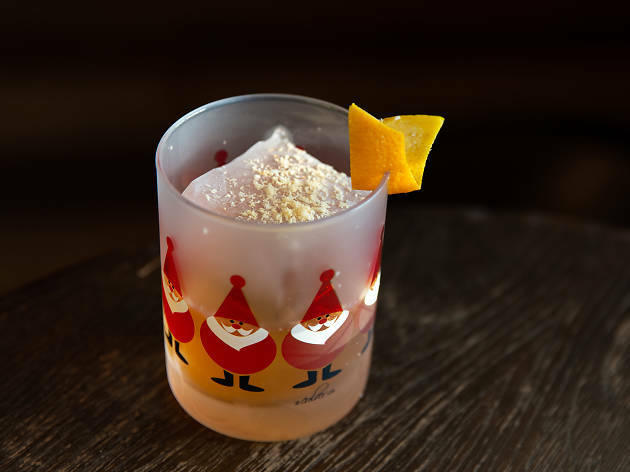 Look for 12 cocktails this year, such as a gingerbread flip or the Christmas Carol Barrel, made with rum, aquavit, amaro, pumpkin pie, citrus and angostura bitters. Find the full menu here. Catch Miracle every day, now through December 31, starting at 4:30pm. If you’ve ever been to one of the now-shuttered Westbound’s holiday-bar takeovers, you know this team means business. Here and Now, the newly retooled bar concept in the same space, is going all-out just like its predecessor did. Now through New Year’s Eve, Here and Now transforms to a North Pole watering hole complete with snow machine, carolers, festive bites (potato latkes! “leftover” turkey sandwiches!) and visits from Bad Santa. Plus, when you bring a quart bag of new travel-size hygiene products to donate to PATH, you’ll be greeted by a complimentary cup of punch; what’s not to love? Not only does the hotel’s bar, the Mixing Room, usually offer a few festive holiday cocktails—this year, the lobby’s centerpiece is a fully functioning gingerbread bar. 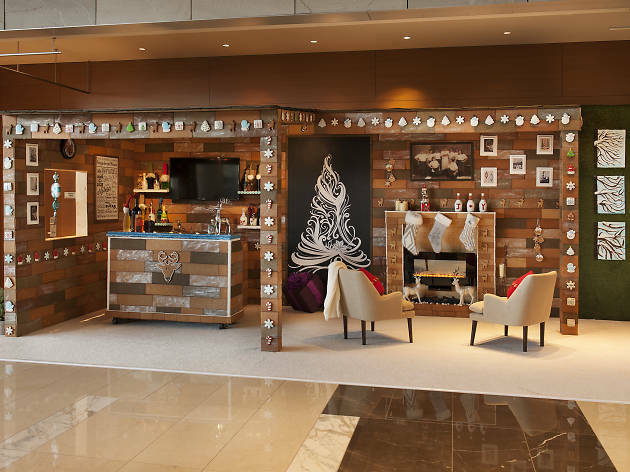 From 4 to 5pm daily, the team offers free hot toddy, champagne and holiday-drink tastings, plus giving away cookies from behind the bar of the “tavern,” which, by the by, comes complete with its own gingerbread fireplace. The elves behind the NoMad’s bar are at it again, working to bring their famed Holiday Spectacular cocktails to their new DTLA home. Fans of the NYC event—and those who attended last year’s insane spectacle at the Walker Inn pop-up—are no stranger to drinks served in snow globes, alpine-themed martini glasses and every other shiny holiday bauble you can think of. This year, bar director Leo Robitschek and bar managers Dave Purcell and Adam George Fournie take over the NoMad’s coffee bar every Thursday to Saturday evening, starting December 6. 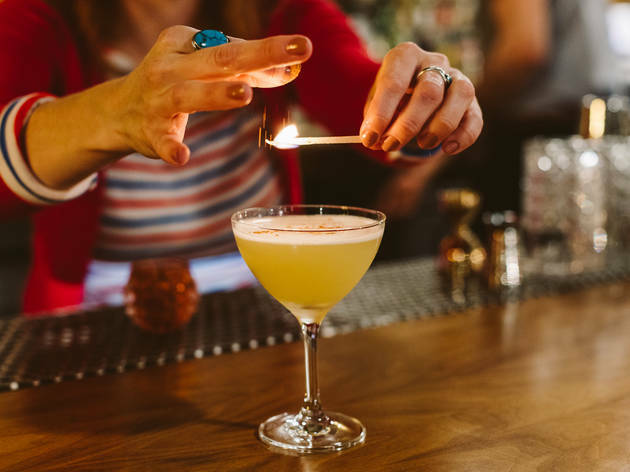 They’ll be slinging holiday-inspired drinks—all split into “naughty” and “nice” categories—including boozy nog and the Partridge in a Pear Tree, made with spiced pear, sherry, ver jus, honey and pommeau. Whiskey lovers, this one’s for you: This year, rye- and whiskey-haven Seven Grand is decking itself out in oodles of Christmas lights for the first time ever, making it one of the most merry spots to grab a drink in Downtown—or anywhere in L.A. And because it wouldn’t be a holiday scene without holiday cocktails, they’ve even got a special menu through December—not to mention events like ugly-sweater parties and toy drives. Follow along on Instagram for announcements all month long. Trade one fictional being for another and ditch Santa for Bigfoot, where the pine trees are only there to make you feel like you’re in the damn woods. 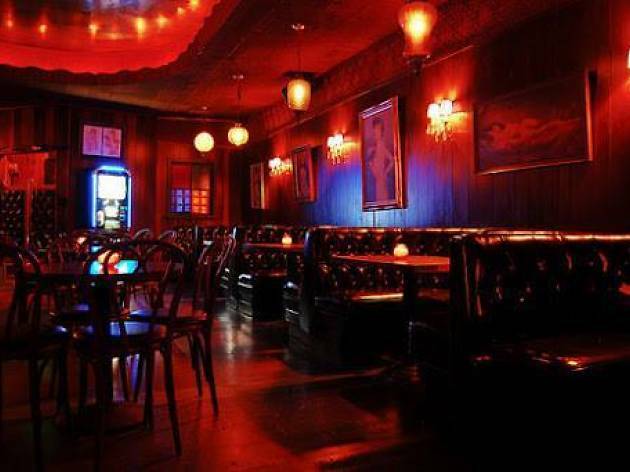 At both the Atwater Village and Palms locations of the perfectly kitschy Bigfoot Lodge, survive the holiday season without a guy in a red suit, but with the help of trivia nights, DJ sets, live music, stand-up and karaoke, not to mention daily specials and a low-lit cabin-like setting. 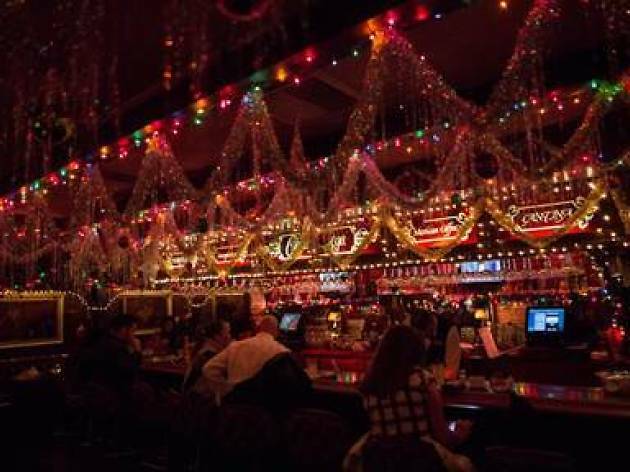 Without a doubt, Footsie’s Bar is one of our favorite dives—as well as Bad Santa’s (check out the film’s opening scene)—and it’s one so dimly lit you’ll barely be able to make out the decorations, not that there are many to begin with. The most festive this spot usually gets are dance parties of the “Joy Division to the World” variety, so grab a PBR tallboy and a hot toddy and dance or drink in the darkness. 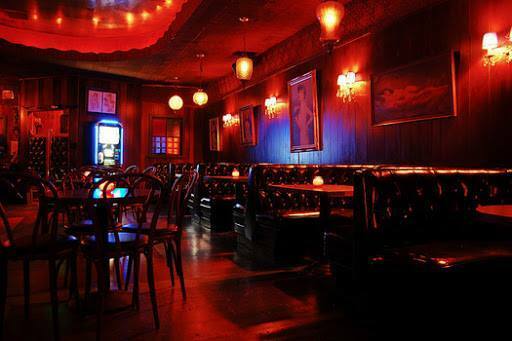 It’s also open until 2am daily, which means you can sneak off from your awkward holiday work parties and family obligations and still find this spot slinging cheap beer and charcoal-activated cocktails alike. Give in to your inner bah-humbugs and spend the season with the Grinch and Hans Gruber. Expect mixology magic and a little bit of festivity-focused ire from the Walker Inn, the Normandie Club’s speakeasy, as they bring back their beloved “Holiday Scoundrels” cocktail menu, now through New Year’s. 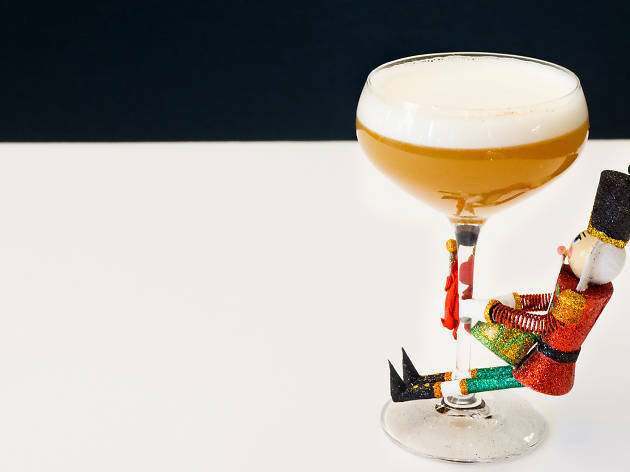 These thoughtful, intricate and outrageously fun drinks named after holiday-movie villains and antiheroes will make you want to root for the bad guys (and order the whole menu). 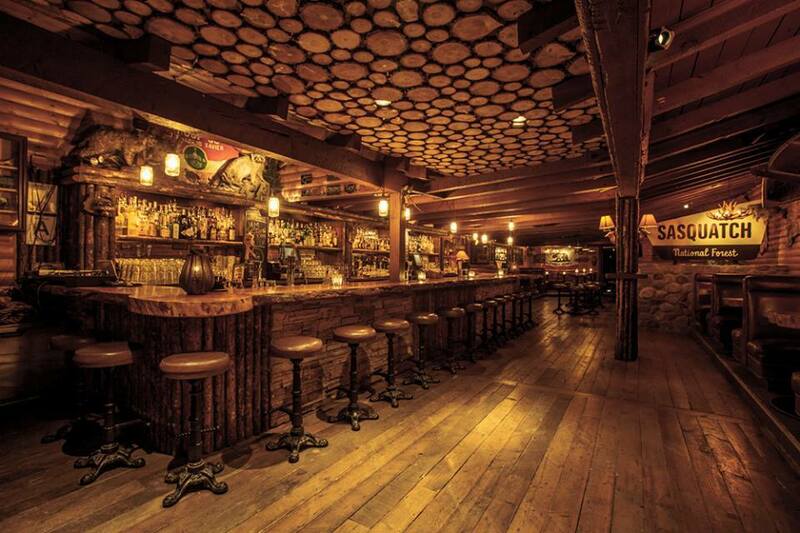 Drink with the scoundrels Wednesdays through Saturdays, including Cousin Eddy, the Sticky Bandits and more.